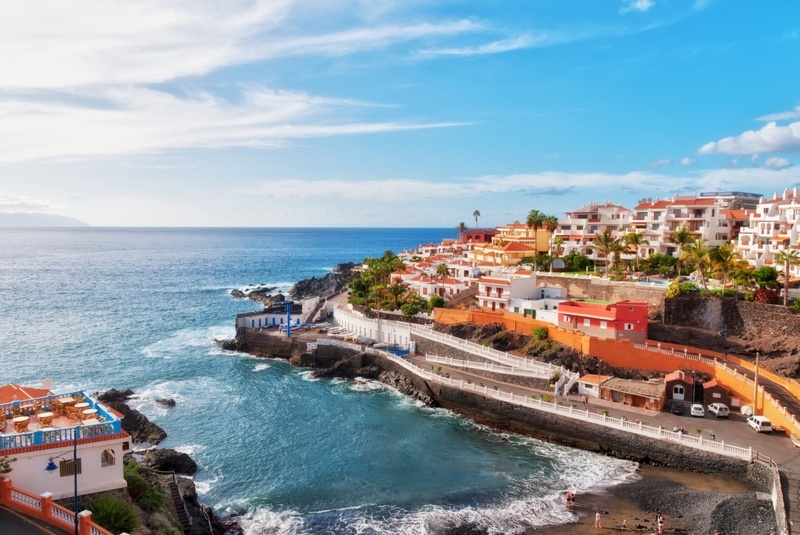 The Canary Islands enjoy some of the very best weather in the world with a wonderful sub-tropical climate made up of long, hot summers and short, mild winters. Some of the islands, such as Tenerife, feature micro-climates which follow the landscape, making various parts of the islands cooler and damper than other sun-kissed resorts. Whilst the Canary Islands are a wonderful destination to visit at any time of year, the best seasons to visit are just before and just after summer, so May-June and September-October. During these times you can expect to enjoy plenty of warm temperatures which are a lot more comfortable than in the blistering summer months. In September and October the sea retains the heat from the previous months, making it a wonderful time to enjoy a dip, too. Temperatures during winter – from November until February – rarely drop below 15°C in most resorts and can rise up to 26°C on a good day. If you travel further inland, such as to explore the fairytale-like forests of La Gomera or ride the cable car up Mount Teide, the temperatures will certainly drop, but they’ll never be so cold that you’re left shivering. Cloudy spells are common across all the islands during winter, as are heavy downpours which generally last no longer than 30 minutes. Although you might need a thin coat or jacket for the evenings, you’ll still need shorts, vests and your swimming gear for the daytime if you visit the Canary Islands in winter. July, August and September are usually the hottest months in the Canary Islands, when the archipelago is subject to scorching temperatures which can reach up to 35°C. During summer, clear blue skies and sunshine are almost guaranteed every single day with clouds not making an appearance until later in the year – October at the earliest. If you plan on visiting the Canary Islands during summer, making sure you pack plenty of loose clothing, sunglasses and a hat and it’s definitely worth stocking up on suntan cream. The sea temperature varies very little throughout the year, which means you can enjoy a swim in the sea whatever month you visit the Canary Islands. September and October are the months when the sea water is at its warmest, between 24°C and 26°C. February and March tend to have the coolest sea temperatures at around 19°C-20°C, which is still more than warm enough to enjoy a day at the beach. Calimas are common all over the Canary Islands and unfortunately, they’re almost impossible to predict. Characterised by hot and dusty weather with low visibility created by intense sand storms which blow over from Africa, calimas are usually worse around the coast and on land which is at sea level. If the Canaries are subject to a calima during your visit and you need some relief, head into a forest area or work your way up to a higher altitude – that’s the best way to get cool. Whatever the weather is like during your visit to the Canary Islands, you’ll always have loads of things to see and do. If black clouds are threatening rain, check out a museum or spend a day at the spa and if the sun is shining make the most of is by hitting the beach or visiting a water park.